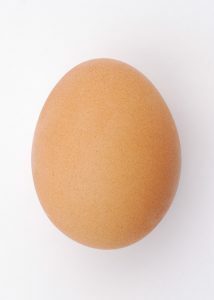 Eggs are arguably one of natures most perfect foods. They are a great source of protein, Omega-3 fatty acids and many other essential nutrients. Unfortunately in recent years, eggs have gotten expensive. Fear not, there are ways to save money on eggs that can help alleviate the stress on your food budget. As you’ve no doubt heard me say before, stocking up when prices are low is one of the best ways to save money on your groceries. This of course is ideal for non-perishable items, but what about items that spoil? You can stock up on eggs when they go on sale, but if you’re not going to use them before they go bad, then you’re just wasting money of course. 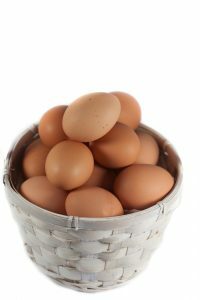 So how can you make eggs last a little longer to maximize your shelf life? First of all, where do you find eggs on the “cheap” (see what I did there)? Turns out your local grocery store might not be the least expensive place. 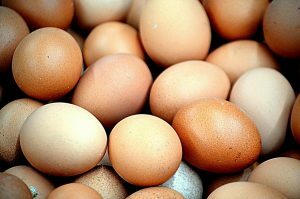 I have gotten the best deals on eggs at places like Sam’s Club or Costco in the past, of course in bulk, but you can find them even cheaper at stores you might not have thought of. Often Walmart and Walgreens offer a dozen eggs for $0.99. You will need to keep an eye out, especially in Walgreens because there’s usually an in-ad coupon involved. These deals come out especially in the spring around Easter, and usually have a limit of 1-3 per customer. You can go to several different stores, or bring someone with you, because this is a great deal! Don’t forget you can also price match at many retailers such as Walmart or Target, so take advantage of that policy as well! If you’re interested in eating as naturally as possible, ask around to see if there’s anyone with backyard chickens who sells their extra eggs. 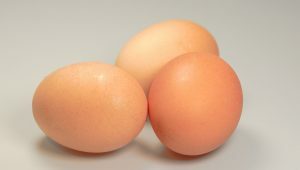 Often you can find them for the same price or less than your local grocery store-the perk is that they are much fresher and of higher quality than store-bought eggs. Most people are not aware that you can in fact freeze eggs. It requires a little preparation, as you cannot freeze whole eggs. Simply crack an egg into a bowl and scramble. Then pour into an ice cube tray or other container to freeze. Simple! You will want to pre-measure them into servings as you will use them. You can also cook scrambled eggs and freeze in patty form. This works especially well if you are going to make breakfast sandwiches similar to an Egg McMuffin. You can also pre-make breakfast burritos with the scrambled eggs. Simply make them in bulk, wrap individually and freeze. This is a less-common method but works well for disaster preparation, or stockpiling. To dehydrate eggs, crack and scramble them. Place on a greased dehydrator tray and dehydrate approximately 14-16 hours until brittle. Remove dried eggs and run through a blender or food processor until powdery. They will store indefinitely in an airtight container. They can be reconstituted or used in place of fresh eggs in recipes. 1 heaping tablespoon of dehydrated egg powder plus 2 tablespoons of water = 1 fresh egg. Stir well and allow to sit for several minutes before using. So there you have it. Some great ways to not only save money on eggs, but also extend the life of your eggs so maximize those savings! How do you save money on eggs?